Every year, home fires claim the lives of nearly 3,000 Americans and cause $6 billion in damage. Although catastrophic house fires are on a decline – largely due to fire safety awareness and home building codes and techniques – house fires of all sizes are often preventable. To avoid having a fire start in your home, practice diligence when working with or around the most common fire hazards in a home. Cooking: Cooking leads to more house fires than any other single source. By far the greatest factor in kitchen fires is unattended cooking. Never leave the kitchen while cooking, especially when using oil or high temperatures. And if oil does catch fire in a kitchen, never use water to attempt to put it out. This will spread the fire. Immediately turn off the heat source or remove the pan from the heat, attempt to smother the flames with a metal lid or flour, or use a fire extinguisher if all else fails. Heating equipment: Have chimneys and fireplaces cleaned and inspected once a year. Never set clothes or shoes on a radiator or space heater to dry. Never leave space heaters on overnight or when you leave the home, and only use space heaters that shut off automatically when tipped over. Smoking: Smoking is the No. 1 cause of home fire deaths and has a very simple solution: never smoke indoors. Most smoking fires start in a bedroom, so don’t smoke in your bed. Electricity: Overloaded circuits and misuse of extension cords, multi-outlet converters and power is another leading cause of home electrical fires. Never use extension cords, power strips or multi-outlet converters for appliances; all appliances should be plugged directly into a wall outlet. Use only appropriate bulbs in lighting fixtures; higher wattage light bulbs might cause overheating. Overreliance on extension cords, power strips or multi-outlet converters is a sign that more wall outlets might need to be installed in a room or home. Candles: One-third of candle fires start in the bedroom; make sure candles are on a stable surface and won’t be knocked over. Be very alert during the holidays: candles + wrapping paper + dried Christmas trees = a fire waiting to happen. Flammable liquids: Vapors can ignite from high temperatures or small sparks from static electricity or other sources. Don’t store flammables like gasoline and certain cleaning agents near a heating source. They should be kept outside the home in a cool, ventilated area. Clothes dryers: Clean the lint filter after every load. Also clean any lint from around the drum and around the housing for the lint filter. At least once per year, check the air exhaust pipe to the exterior of the home and ensure there’s no blockage. Smoke detectors: Install smoke alarms on every level of your home, inside bedrooms and outside sleeping areas. Test the batteries each month. Fire emergency plan: Talk with all family members about a fire escape plan and practice the plan twice a year. The plan may include escape ladders if the home is two stories or more. Fire extinguishers: Having fire extinguishers in your home and knowing how to use them is a crucial part of your home’s emergency plan. They should be used only for fires that are very small and contained. Always keep an extinguisher near the kitchen and, preferably, on every level of the home. Above all else, remember that if a fire occurs in your home, get out, stay out and call for help. Ready to ensure your home is up to fire safety codes? 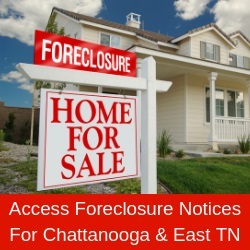 Visit the Home Builders Association of Greater Chattanooga online directory at www.hbagc.net.